ACT Sport, Heavy Duty, Xtreme or Maxx Xtreme pressure plates use exclusive diaphragm design to increase clamp load, reduce deflection and maximize clutch life. All diaphragms endure a four-stage, heat-treating process for unparalleled performance. ACT pressure plates have precision cover stampings to provide rigidity and consistency. ACT's Performance Street discs feature premium organic materials with high copper content for better heat transfer and steel-backed lining for greater burst strength and durability. These discs have reduced marcel for faster shift action to complement ACT pressure plates, with increased strength and reliability. ACT's 4-pad spring-centered race disc features a spring-center to properly damp torsional vibrations for quieter operation and resist failure even under harsh conditions. ACT spring retainers utilize wraparound spring windows and thicker retainer stampings to provide spring support, reduce stress concentrations, and increase strength and reliability. With the 4-pad spring-centered race disc, engagement is harsher, but shifting is faster. ACT's 4-pad spring-centered race disc is well-suited for smaller disc sizes in smaller engines. ACT's 6-pad, spring-centered race disc features a spring-center to properly damp torsional vibrations and resist failure under harsh conditions. ACT spring retainers utilize wraparound spring windows and thicker retainer stampings to provide spring support, reduce stress concentrations, and increase strength and reliability. With the 6-pad, spring-centered race disc, engagement is harsher, but shifting is faster. 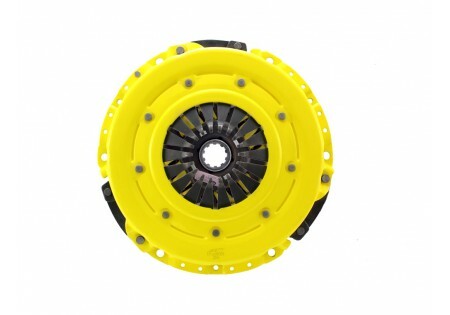 The 6-pad, spring-centered disc is recommended for larger clutch sizes to absorb more heat. ACT's 4-pad rigid race discs are made with high quality, ceramic friction materials. The chrome-moly hub is heat-treated for strength and durability. The lightweight, rigid design allows for quicker shifts and smooth, trouble-free service. With the 4-pad rigid race disc, engagement is harsher, but shifting is faster. The 4-pad rigid race disc is well-suited for the smaller disc sizes in smaller engines. ACT's 6-pad rigid race discs are made with high quality, ceramic friction materials. The chrome-moly hub is heat-treated for strength and durability. The lightweight, rigid design allows for quicker shifts and smooth, trouble-free service. With the 6-pad rigid race disc, engagement is harsher, but shifting is faster. 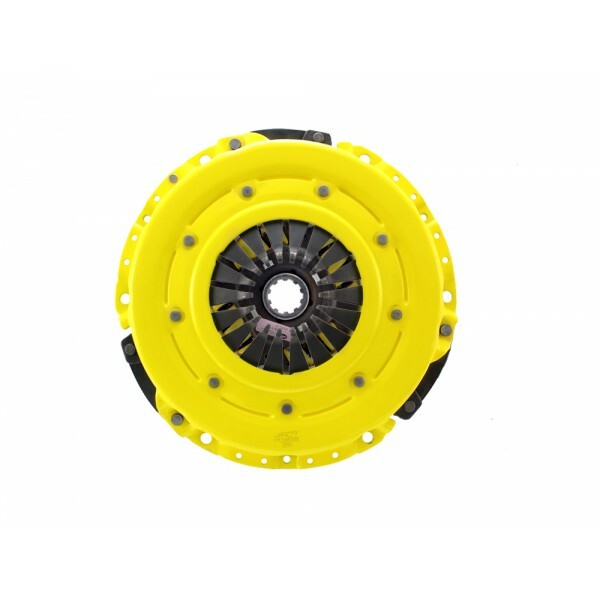 The 6-pad rigid race disc is recommended for larger clutch sizes to absorb more heat.